The Aviemore range of classic bridles from Shires will stand the test of time without stretching your pocket. Premium leather is tanned using vegetable derivatives to produce a soft, supple product with a traditional finish. Stainless steel fittings. 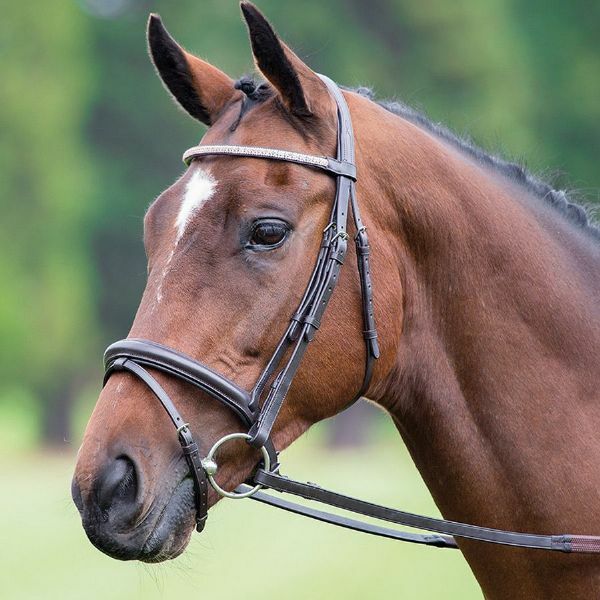 This smart flash bridle is padded at the nose and head and features an eye catching three row diamante browband. The ergonomic all in one headpiece helps reduce pressure for greater comfort and the throatlash adjust on both sides. Features include a rubber grip reins, hook stud billets and stainless steel fittings.